I first heard of Marie Equi, one of the first woman physicians in Oregon and a radical activist, from my friend Bette Sinclair, who lives in Equi's former home in the Goose Hollow neighborhood. Chagrined that I'd never heard of this incredibly accomplished and important figure in our state's history, and eager to find out more, I was glad to hear that a biography was being published by OSU Press. My friend, writer and editor Angie Jabine, recently wrote a review of the book for Oregon Arts Watch. Born in 1872 to an East Coast, working-class immigrant family, Marie Diana Equi seemed destined to become just another New Bedford millworker. But by 1891 she was homesteading with her Wellesley-educated girlfriend near The Dalles, where she made national headlines after publicly horsewhipping a corrupt school superintendent. A new biography of this remarkable Oregonian. As one of Oregon’s first female physicians, Equi led an acclaimed relief mission to San Francisco in the wake of the 1906 earthquake and fire. She also performed then-illegal abortions, and she was arrested with Margaret Sanger in 1916 for distributing birth control pamphlets. She led workers’ protests and strikes and called herself a Radical Socialist and anarchist. She was convicted of sedition for opposing U.S. involvement in World War I and served nearly 10 months in San Quentin. On returning to Portland, she cohabited with the labor activist—and future Communist Party USA chairwoman—Elizabeth Gurley Flynn. You’d think a figure as memorable as Marie Equi would be at least as familiar to Oregon history lovers as, say, Sacajawea, John Reed, or Abigail Scott Duniway. One of Equi’s contemporaries called her “the most interesting woman that ever lived in this state, certainly the most fascinating, colorful, and flamboyant.” But up until now, she seems to have been erased from the record, her story primarily scattered among old newspaper clippings and unpublished oral histories by those who befriended her in her later years. 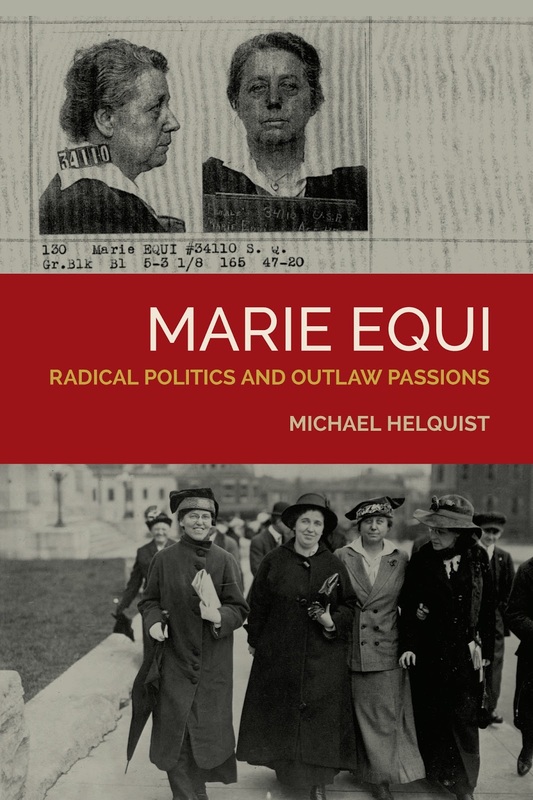 A vivid new biography from Oregon State University Press [titled Marie Equi: Radical Politics and Outlaw Passions] ought to change all that. In a thoughtful yet page-turning account of Equi’s life and times, social historian Michael Helquist has portrayed not just a remarkably gutsy woman but also an era of street-level activism that makes today’s Occupy protests look like a barn dance. Read the rest of this terrific review and find out how the U.S. Justice Department's surveillance of Equi's "seditious" activities became a main source for biographic information about her. 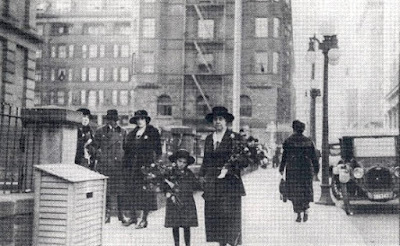 Photo at top is from the Oregon Historical Society that is captioned, in part, "Dr. Marie Equi and her adopted daughter Mary outside of the Federal Courthouse on the day of Dr. Equi's unsuccessful appeal, October, 1920." Great information. Who knew about her? Not me, that's for sure! Thanks, I will get the book. Sounds like a great read and a inspiration to all. Feel exactly the same, Sasha, about the information and buying the book. For me…and maybe as a holiday gift! Wow, very interesting indeed. Thanks for sharing this. I shared it onwards with friends and family. I thought the review was fascinating, Bonnie, and can't wait to read the book. Glad you enjoyed it, too!